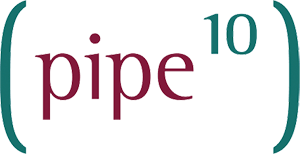 Pipe Ten considers its customers as partners, but in a traditional sense aims to form partnerships with many third parties to supply services including servers, software and physical environments. We seek to combined the needs, values and volumes of our customer partners and leverage these with our commercial partners; for better pricing, priority, support and development influence. Wherever reasonably possible Pipe Ten contributes in resources, time or promotion to the furthering of open source or otherwise free software or services it uses and recognises its reliance and responsibility to do so.